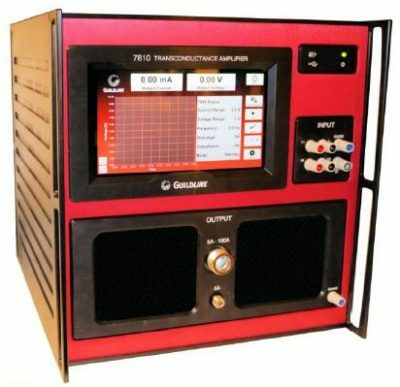 Resistance and Current Measurement System 6625A is a modular providing unique industry leading features and capabilities. 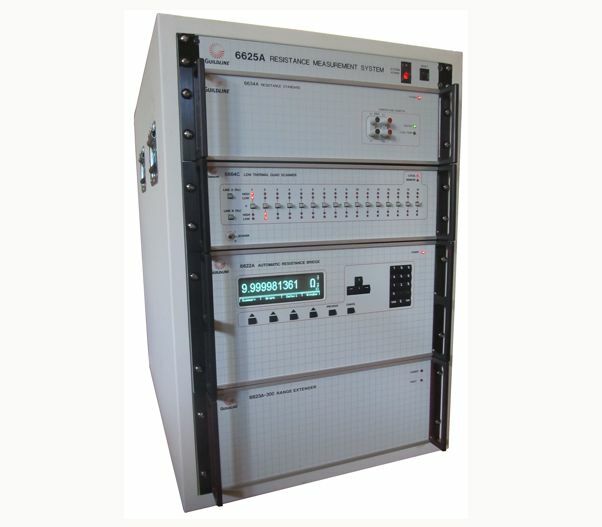 The 6625A System is composed of a 6622A Series Bridge with Bridgeworks Software, a 6634A Series with up to ten Resistance Standards, user selectable 6664C Series Scanners and the highly successful 6623A Series of Precision Current Sources / Range Extenders. The system comes as standard with the latest Laptop Computer, IEEE Card, cabling, and system rack with power strips, ground bar and laptop shelf. The 6625Asystem is fully wired and tested. 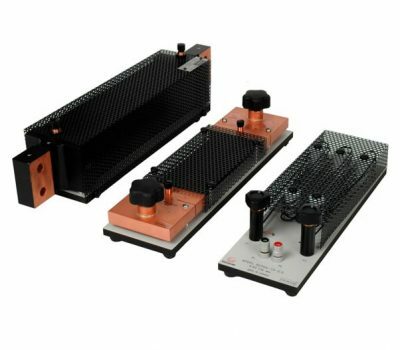 This System is highly configurable and upgradeable for future requirements. 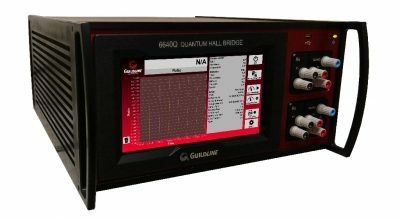 Guildline Instruments 6625A is a modular Resistance and Current Measurement System providing unique industry leading features and capabilities. 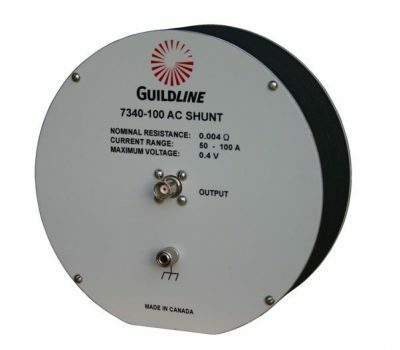 Standards, user selectable 6664C Series Scanners and the highly successful 6623A Series of Precision Current Sources / Range Extenders. The system comes standard with the latest Laptop Computer, IEEE Card, cabling, and system rack with power strips, ground bar and laptop shelf. The 6625A system is fully wired and tested. This System is highly configurable and upgradeable for future requirements.